Auto accidents are unpredictable and may cause devastating injuries. Place your trust in our rehabilitation professionals who have 30 years of experience in treating auto injuries. You can always count on our superior chiropractic treatments to quickly put you on the road to recovery. Call 215-245-1000 to schedule an appointment with us. While we treat all types of auto injuries, we also partner with various specialists in other fields for X-ray and MRI facilities. 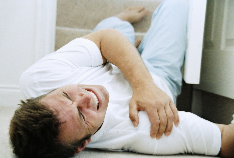 Auto injuries can result in pain, cripple your mobility, and hinder your activities in life. You'll get personalized and quality treatments to address your pain. Get in touch with Dr. James Brady of Bensalem, PA today!